Suya is a well-known Nigerian grilled meat dish that can be found in almost any eatery in the country. This dish can be made with various types of meats including chicken, fish and beef. If you are interested in trying out exotic dishes from around the world, then suya is a must do! 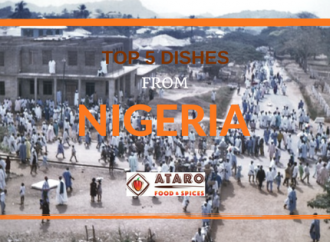 And you don’t even have to travel to Nigeria to taste it; it can be readily recreated in your kitchen itself no matter which part of the world you are in! 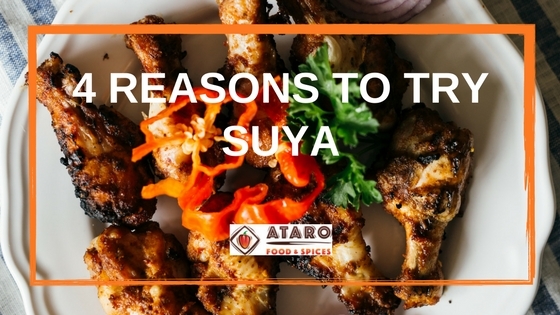 Those who have already had a taste of suya will need no further convincing, but if you haven’t yet been introduced to the delights of West African cuisine, then here are 4 reasons to try suya today! 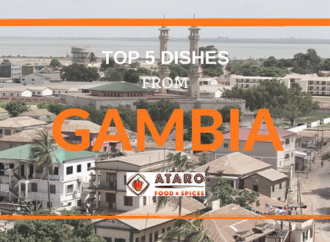 Sometimes, making a dish that is from a cuisine that is alien to us can be a daunting task. You might come across strange and peculiar ingredients which you’ve never heard of before. 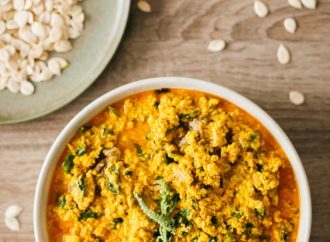 What’s more, you might really not be inclined to pick up a whole set of ingredients just to make one dish – and then have them sitting idly in your pantry till well past their expiry dates. Been there, done that. However, for making suya at home, all you need is a small box of Ataro suya spice rub. This innocuous little box contains all the key ingredients that go into making an excellent suya. Not only that, the suya spice rub is a truly multipurpose powder. It can be used in a variety of different ways including in curries, salads, soups and what not! So you don’t have to worry about using up the spice mix at all; trust me, it will be over in no time! Suya is a great way to incorporate more protein into your diet. Added to the fact that suya is not fried but rather grilled, any excess fat tends to drip away from the meat whilst grilling. So if you are health conscious or are trying to lose weight, then you can enjoy your suya without any guilt! 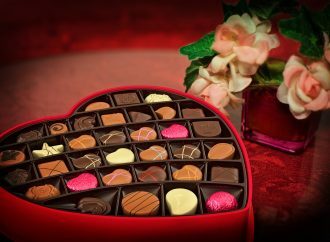 And let me tell you, it isn’t often that something so yummy is actually also rather tasty! Food is important in life but frankly, I do believe that there is more to life than sweating and slaving away in the kitchen. I am a great fan of quick recipes and suya surely falls into that category. Marinating the meat with the suya spice for a decent amount of time is important to allow the flavours to seep in but I assure you that the actual cooking time is very less for suya. If you are having some friends over for a fun night in, I guarantee that a plate of hot suya which you’ve freshly made will simply blow their minds! You will be instantly elevated to the status of culinary goddess in your circle! So what are you waiting for? Go ahead and whip up some suya using my tried and tested recipe below. Looking for the spice mix? Visit my site! Suya is a Nigerian word for a special roadside barbeque. Every evening, most people all over the country queue up on the roadside to buy Suya for their family. 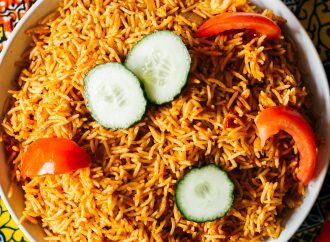 It is usually prepared by the Hausa people of Northern Nigeria and it is loved by Nigerians. Ataro Suya Spice to taste. Rinse the chicken under cold water and place in a bowl. Sprinkle the Suya Rub on both sides of the chicken and drizzle your oil on top. Now bring the grill or barbecue to a medium heat. While the chicken is cooking, the Suya Spice will deeply penetrate into the meat, giving it its unique West African flavour. When the chicken is thoroughly cooked, and the smells are mouth watering, place it onto a large serving dish, and garnish with onions and sliced fresh tomatoes or peppers, as preferred. For extra flavour, sprinkle some of the suya spice over the finished meal. Serve while it is still hot. Use pre-marinated chicken, or marinate it yourself by rubbing Ataro chicken rub (to taste) into the chicken and allowing it to sink in for at least 2 hours before grilling. You can grill beef or salmon suya in the same manner, outlined below. For an extra bite, serve this dish with chilli sauce.